There's an occasional electronic music open mike night here in Manchester (also moves around West Yorks) if you're interested. I've been putting together some tracks with my current modular setup which I've been honing towards a sort of live melodic beat machine for this (and other) local event. 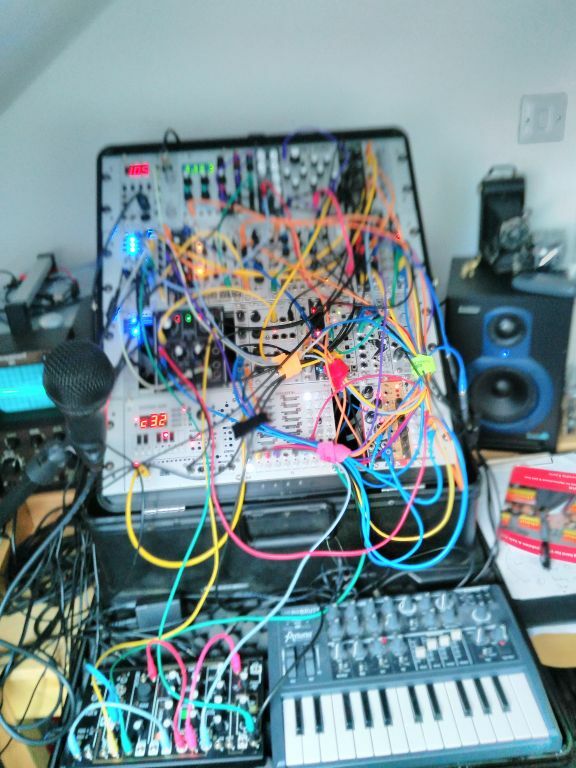 I'm trying to cram as much in the modular as possible but still find the 0-Coast and Microbrute indispensable. The rest of the setup apart from a pedal is eurorack. I've tried to work this way as it just makes more sense to me rather than having too many external synths or other sequencing. Anyway here's a few of my experiments - would be great to get some feedback if you fancy a listen? Cheers for your time all! Also, three years on Muffs today! Hooray!